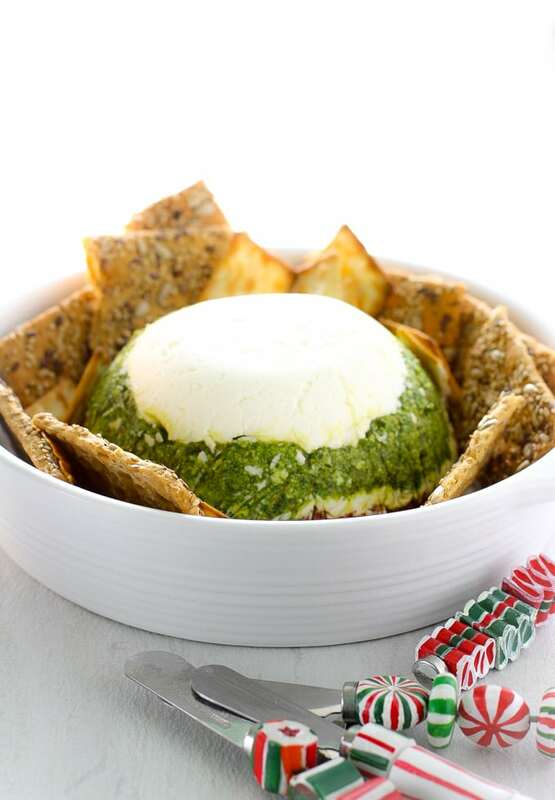 Serve the tastiest, most festive holiday appetizer recipe this season with this Marinated Cheese Christmas Wreath. I make it year after year for my husband’s holiday party and according to him, it’s always a huge hit. I’m even planning to make one for us to have here at home. I like it that much. 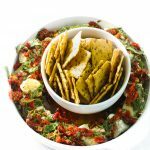 But another fun festive Christmas recipe that I like just as much is today’s Marinated Cheese Wreath. It’s inspired from a basic “marinated cheese” recipe I tested years ago when I was working in the test kitchen for Southern Living cookbooks. Back then, fat-phobia was still a thing and I remember always thinking how indulgent this recipe was. Cheese bathing in a dish full of oil was almost unheard of. But now? 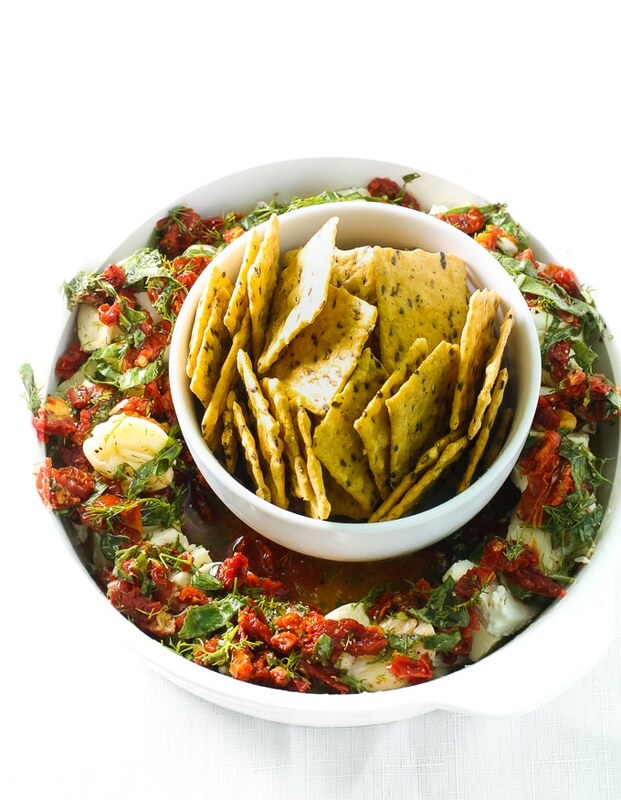 I’m like BRING ON ALL THE MARINATED CHEESE AND LET’S CELEBRATE THE HOLIDAYS. Seriously. If you think cheese can’t taste any better than it does on its own, you’ve never drenched it in oil, sundried tomatoes, and fresh herbs. It’s the kind of culinary miracle they should write a Christmas carol about. I hope you’ll give it a try and let me know what you think. Here’s wishing you a very Merry Christmas, Happy Holidays and Wonderful New Year! Combine vinegar and next 7 ingredients (through garlic) in a medium-size bowl. Cut each block of cheese into 1/4-inch-thick slices; cut each slice in half. Using a round dish with sides, line up cheese slices around the edge alternating each type of cheese. Pour marinade mixture over cheese. Refrigerate until ready to serve (at least 2 hours). 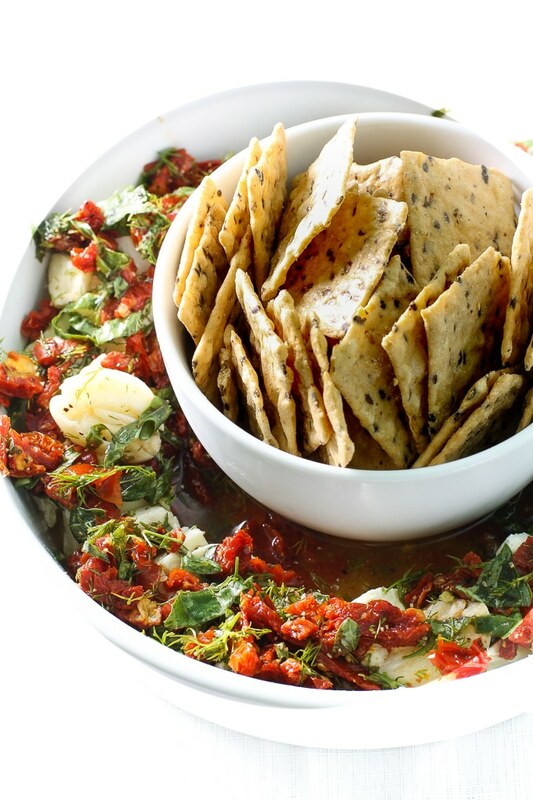 Serve with crackers, as desired.